Giap Nguyen is the finance, banking and payments account manager for BowerGroupAsia Vietnam, advising companies on public policy issues in the sector and supporting government engagement. 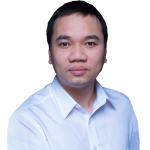 He has a decade of experience in legal practice and policy development in the Vietnamese banking and finance sectors. Prior to joining the BGA Vietnam team, Giap worked for nine years at the State Bank of Vietnam Legal Department. His experience covers most legal areas at the SBV, including reviewing and reforming key regulation and legislation. He has a deep understanding of the legal structure that underpins Vietnam’s banking system, including compliance-related issues. Prior to his time with SBV, Giap spent one year working for YKVN, a top-tier law firm in Vietnam, advising clients on foreign investment, real estate, banking and finance. Giap earned a Master of Public Policy degree from Australian National University with an Australian Awards Scholarships in 2015.